Stricter security this year means that extra searches will be in place, say the festival organisers. 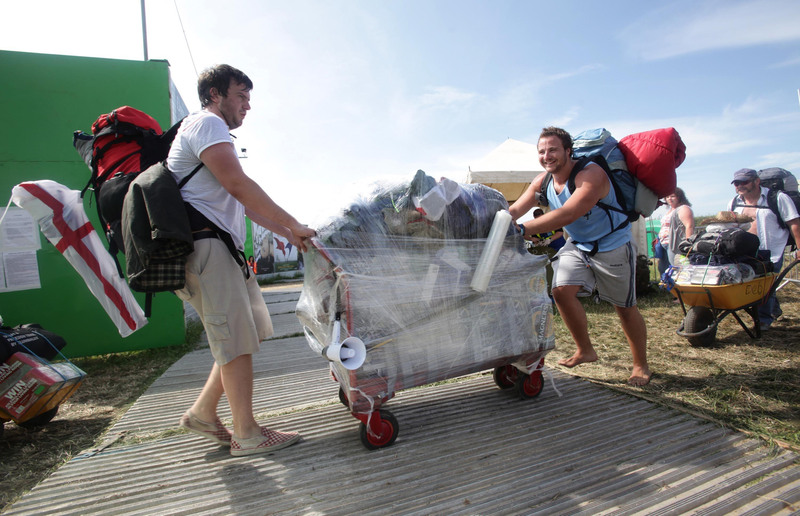 Glastonbury organisers have asked all festival-goers attending this year’s event to “pack light” to help with tighter security. While this will make entrance to the festival somewhat slower than in previous years, the organisers are asking people to bring “as much as you can carry yourself”. There will also be separate search lanes for people with trolleys and other large luggage. The official statement goes on: "So, please think: do you really need that camping chair? Can you manage without that extra food and drink? Remember, you can buy pretty much anything you need here on site. "We would also ask you to put luggage tags on all of your bags and belongings with your name and mobile number, so that we can identify them as yours. "Also, please do not wrap your bags / kit in the thick plastic wrap you sometimes see at airports. Your bags will need to be accessible for searches." Finally the organisers say that it will be possible to make separate trips to and from vehicles, as long as festival-goers hold onto their tickets and pass-outs.